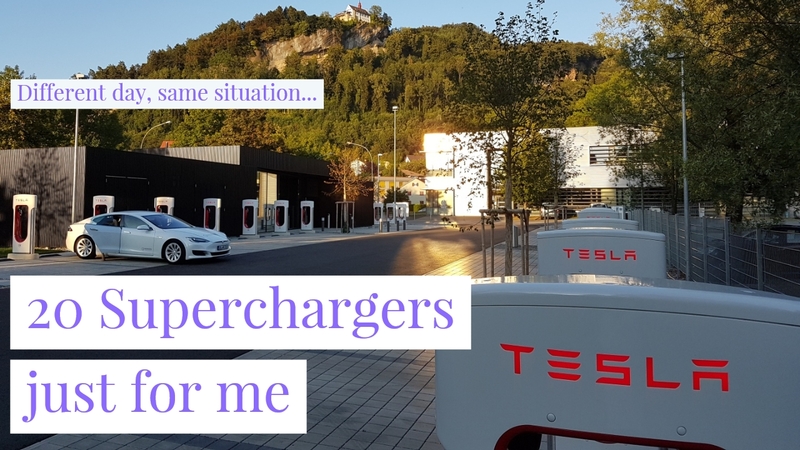 A few weeks ago, I was at the Supercharger in Bregenz, Austria. 1.8 Megawatt, hydropower, 20 Superchargers and a few “normal” EV chargers. I was the only user. I still don’t know the answer, but I am improving my statistics: Now I have been there twice, and I encountered the same situation again. Maybe it was the wrong time of the day, maybe the weather was too good – nobody knows. The only thing I know is: I am happy I am not the investor behind this project.